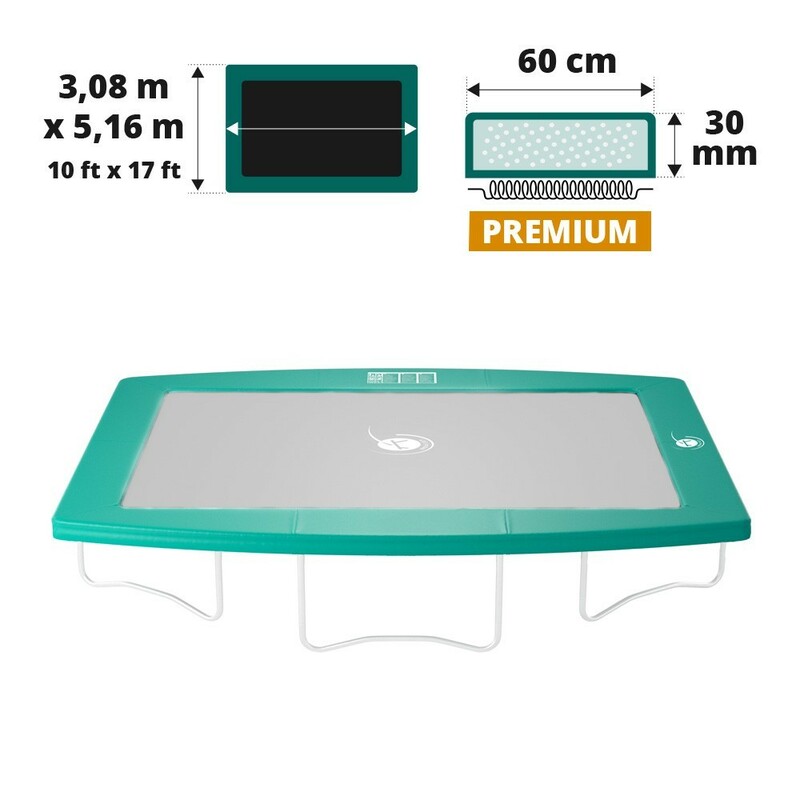 Frame pad for rectangular trampoline measuring 5.10 m by 3.68 m.
A frame pad is an essential safety component for a trampoline as it covers the springs. If the frame pad is too damaged, than it is essential to replace it to keep all users safe. 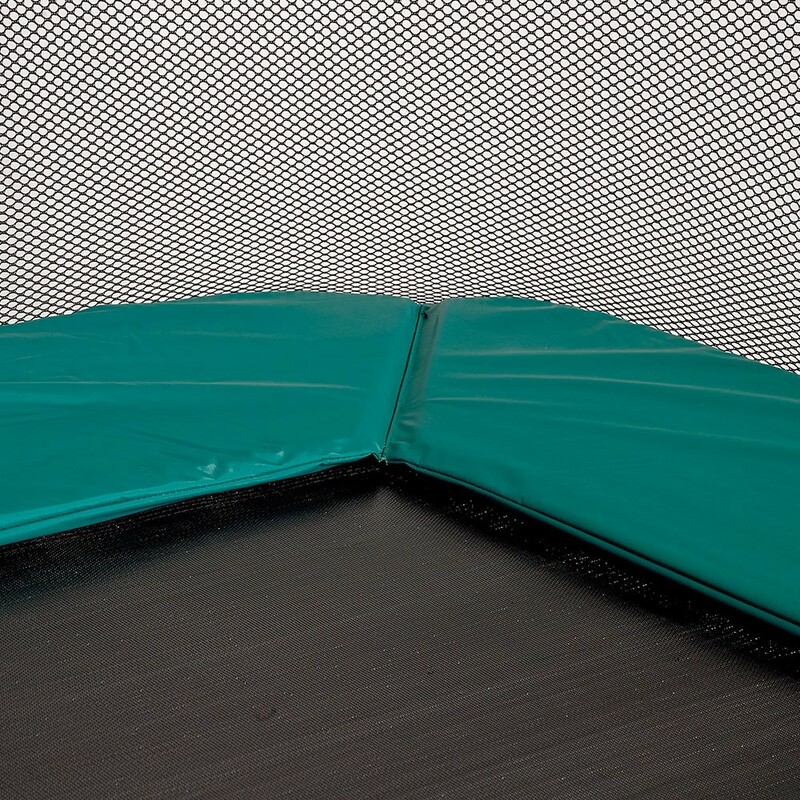 This frame pad is adapted to all rectangular trampolines of 5.10 m by 3.68 m (3.08 m to the ends). 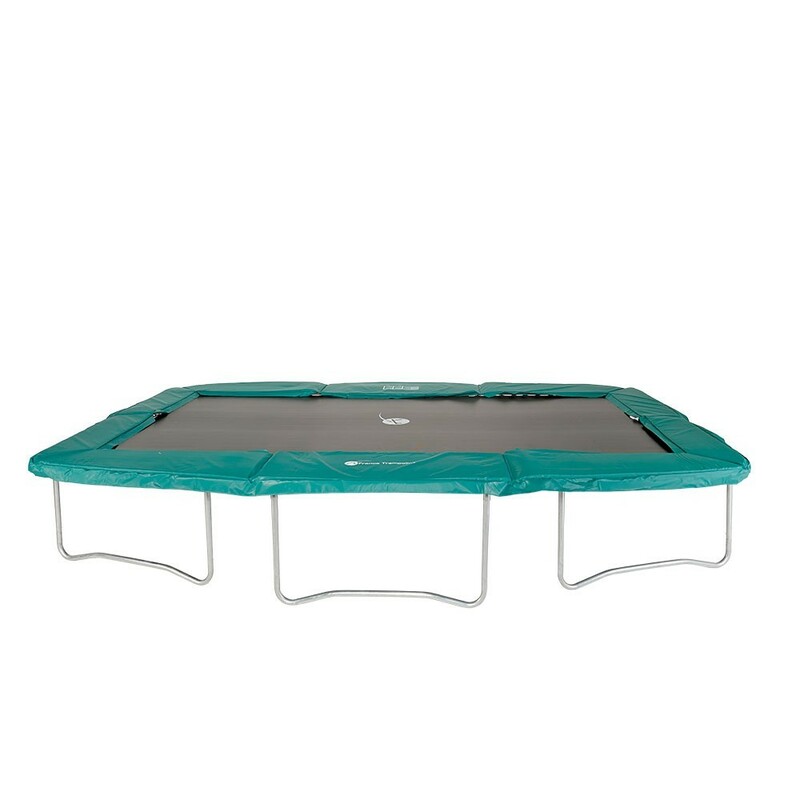 - This Premium frame pad was originally designed for the Apollo Sport 500 but wall fit any trampoline with similar measurements. This measurement should be taken at the end point of the arched tubes reinforcing the long structure of a rectangular trampoline. The springs should measure between 210 and 230 mm. 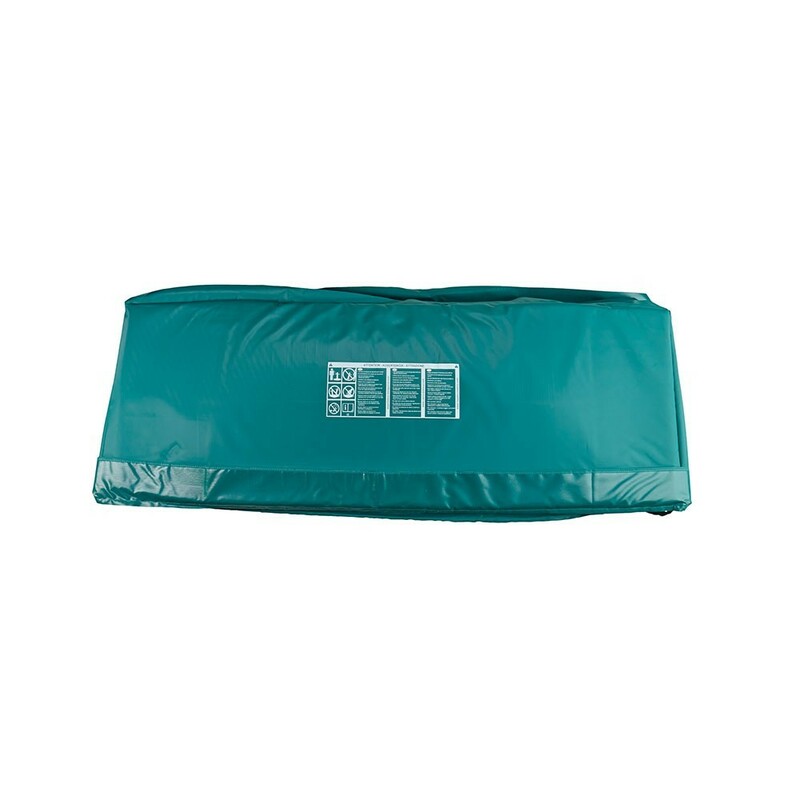 - This Premium pad is made from compact EPE foam (expanded polyethylene) which creates not only a soft landing place, but also perfectly waterproof and flexible. This foam is also mould-proof which improves its durability. The biggest asset of this compact foam is its 31 mm thickness, which provides optimal cushioning and breaks any falls onto the springs. - Contrary to many frame pads made of small multiple layers of foam, our frame pads are monoblocs. They are made of a single layer of foam for better shock-resistance. 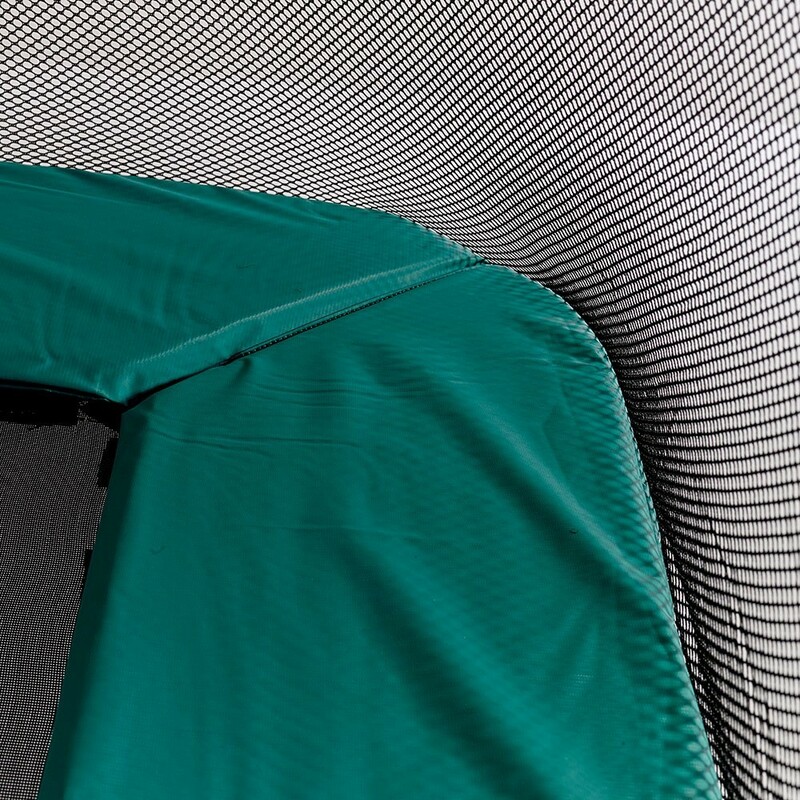 - This high quality foam is protected by a green PVC cover which has been UV protected. Its density is far higher than on rival products, which will durably maintain your frame pad in perfect condition. - The fixation system on this pad is also very solid. 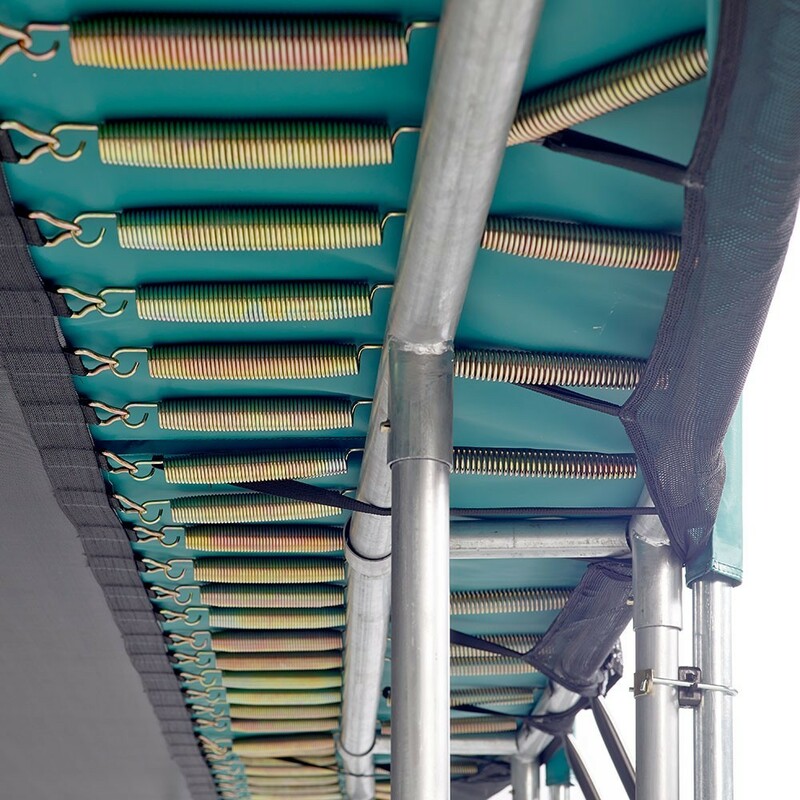 Instead of the fragile fabric straps often used, elastic straps have been fitted to the frame pad to hold it as close as possible to the springs, without ever touching them. This means that the frame pad is less rigid and protected from friction on the springs. Furthermore, the elastic straps are more resistant against extreme temperatures than fabric straps.